Cinestaan Entertainment Private Limited unveiled its plans to produce films and shall soon foray into television and internet services. 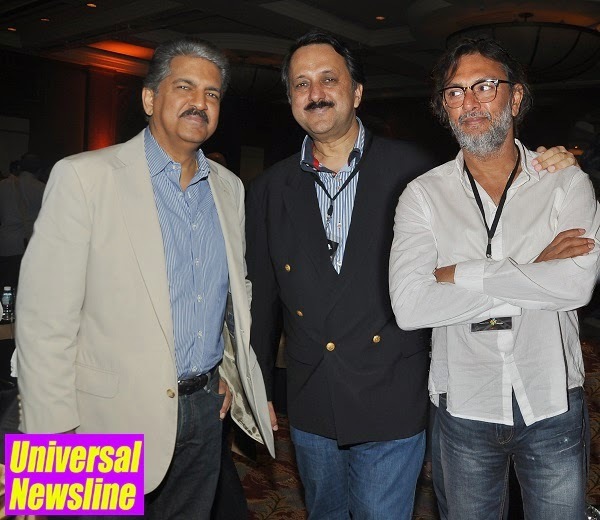 Rohit Khattar is Founder and Chairman of Cinestaan and Anand Mahindra is a major investor. Cinestaan's first subsidiary, the Cinestaan Film Company is delighted to announce its foray into film production with a three film agreement with Rakeysh Omprakash Mehra’s ROMP Pictures. Rohit Khattar, Founder Chairman says, “I am delighted to announce the launch of Cinestaan Entertainment in partnership with Anand Mahindra. We share a common vision and similar tastes in story telling which shall, we hope, manifest in some good films. Cinestaan is committed to preserving the rich legacy of our cinema heritage for which we are working on several initiatives including an oral histories television project that shall celebrate the memories and contributions of our screen legends. To begin our film slate with a prodigal talent like Rakeysh Mehra is an incredible high and we are excited about developing these films with him. Cinestaan shall announce some more projects soon." Cinestaan Film Company’s first film as a co-production with ROMP Pictures will be the Rakeysh Mehra directed ‘Mirziya'. The second film ‘FanneyKhan’, is an official remake of an Oscar Nominated film to be directed by Nitin Kakkar, the National Award Winner for Best Film “Filmistan” in 2013. The third film (yet untitled) shall again be directed by Rakeysh Mehra. Rakeysh Omprakash Mehra is a three times National Award Winner &Baafta nominated Rakeysh Omprakash Mehra is one of the most exciting film-makers of recent times. His recent blockbuster BHAAG MILKHA BHAAG has made biopics the flavor of the day or RANG DE BASANTI, which changed a whole generation’s thinking and become one of the most important films in the History of Indian Cinema. Even his debut film AKS, was dubbed by critics “ahead of its times”. Rakeysh has heralded the “new age” film-maker with his unique style and tone of telling his stories. Add to that the technical finesse that all his films have along with some of the best music in recent times. He is a director whose films audiences look forward to for a real “cinematic experience”. Rohit Khattar is a creative entrepreneur with interests in hospitality and entertainment. He is Chairman of Old World Hospitality, which is India’s largest live entertainment organiser and operates Performing Arts and Convention Centres, Hotels and Restaurants. He is also the Non-Executive Chairman of Mumbai Mantra Media Limited, which is developing entertainment infrastructure and content.